3.2 / 5 Score from 6 reviews. - 20% discount until 04 Oct; - 15% discount until 05 Nov; - 10% discount until 05 Dec! 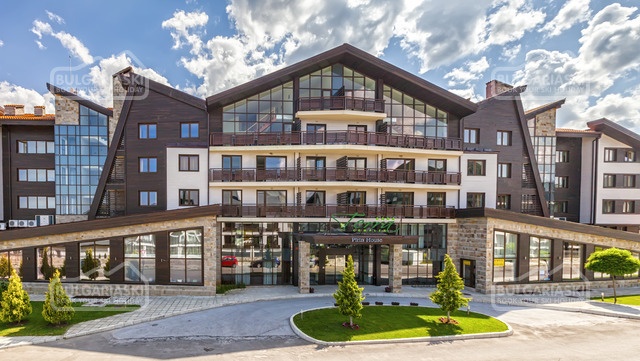 Location: Terra Complex (ex.White Fir Resort) is located in the picturesque Razlog Valley at the foot of Pirin mountain, only 12 km from the ski lift and 9 km from Bansko ski resort. Terra Complex is a year round complex. It features a wonderful view over the mountain and the golf course, designed by Ian Woosnam. Accommodation: Terra Complex consists of 4 detached buildings, offering double rooms, one, two and three-bedroom apartments with mountain view. 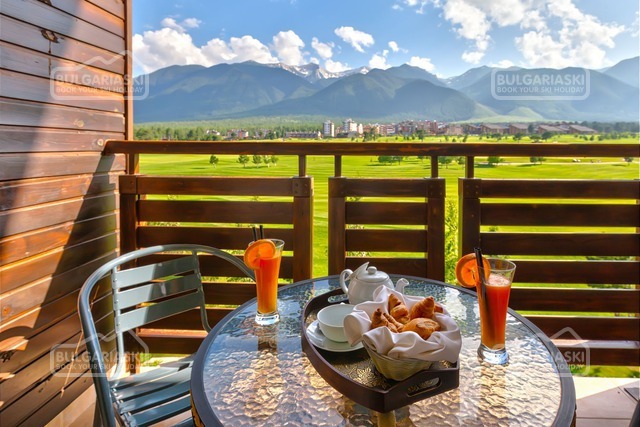 The apartments feature Wi-Fi internet, TV with satellite channels, telephone, spacious double bedrooms, living rooms, fully fitted kitchenettes and bathrooms and a balcony with mountain and golf course views. The equipment of the kitchenettes include mini-bar, oven, washing machine, hotplates, toaster, kettle. Dishes and cutlery are available upon request and against deposit. The Lux rooms are located in the main building, while the standard rooms are located in side building. Wine & Dine: The restaurant (130 seats) with a summer garden offers meals from Bulgarian and International cuisine, and selected wine list. 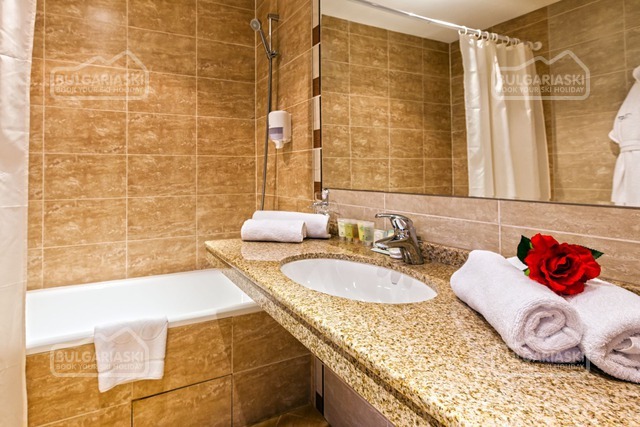 SPA Centre: The SPA Centre offers spa body and face procedures and therapies, cosmetic studio, SPA capsule, Jacuzzi, Turkish bath, steam bath, Jacuzzi for two, massage rooms, Cleopatra’s bath, sauna. Please, post a comment on Terra Complex. 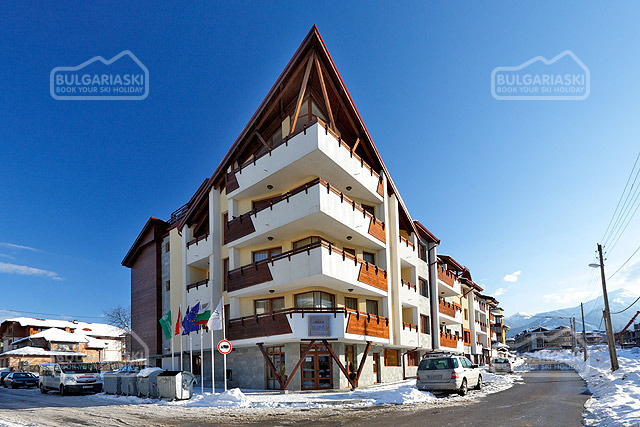 * The prices are in EUR per night with breakfast and include: use of swimming pool, sauna, fitness, steam bath, jacuzzi, parking, children's room, transport to the Gondola lift, Wi-Fi internet access. 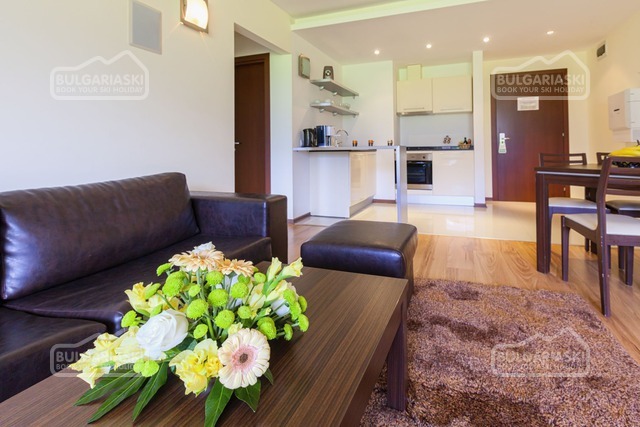 Maximum occupancy: Double room – 2 adults; 1-bedroom apartment - 2 adults + 1 child or 3 adults; 2-bedroom apartment - 4 adults + 1 child or 5 adults; Maisonette - 6 adults + 1 child or 7 adults. * Cancellations can be made, providing details of this are received at least 14 working days prior to check-in day - cancellations made after this period will incur a fee equivalent to the cost of the 3 nights of the accommodation and catering! Cancellations for the period 28 December 2019 - 03 January 2020 can be made min. 31 days before the check in date and cancellations made after this period will incur a fee equivalent to full amount for the accommodation! Although room service was noted in the apartment menu, from 7.30 to 22.00, at 19.15 I tried to order food and I was turned down. We were told that dinner is served in the restaurant and they can not take any food order until 21.00. I explained nicely as is the normal room service, but could not solve anything. I called the front desk and explained that we have 2 children with diabetes and they really need to eat, I asked to make food for them but even this was not possible. This is not 4 star hotel behavior. 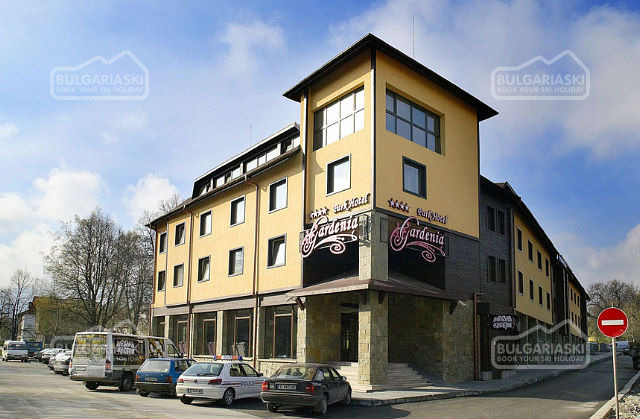 The hotel we had booked and paid for two rooms and a luxury apartment. For personal reasons one family friends could not come and so a double room stayed empty. When I left, I was asked to pay two dinners for empty room and another two dinners for apartment, but we were in the restaurant only for breakfast. Finally those have not been paid after long discution. Services and staff of this complex behavior can be classified at most 2 stars. It is not normal to don't be able to feed two children with diabetes at 19.15 and be forced to get dress and go with them to another restaurant for that. You should reconsider working with this complex. The Terra Complex is a fantastic hotel, great location, great rooms, great pool, great views and more importantly fantastic staff. Also great value for money. IN THE HOTEL , THEY DIDN'T HAVE THE ABILITY TO SERVE PROPERLY ALL THEIR CUSTOMERS IN THE RESTAURANT. WE WERE EATING OUR DINNER PARTIALLY BECAUSE THERE WERE ALWAYS MISSING PLATES . IN THE BREAKFAST , WE WERE ALWAYS LOOKING FOR SPOONS AND FORKS OR CLEANED TABLES . ESPECIALLY THE NEW YEARS DINNER , DIDN'T WORTH A PENNY AND WE PAID REALLY A LOT FOR IT , ALMOST THE SAME AMOUNT OF THE ACCOMMODATION HB . THE VARIETY WAS VERY POOR AND THE BUFFET WAS NEVER FULL . WE HAD TO GO EVERY 5 MIN TO FILL OUR PLATE .THE PROGRAM PRETTY OK BUT THE DIDN'T HAVE ANY SPACE TO ACT SINCE THEY WERE IN THE MIDDLE OF THE TABLES AND THE CORRIDOR . NOT TO MENTION THE TOILET PAPER , WHICH WE HAVE ALWAYS TO ASK FOR A SECOND SINCE WE WERE 4 PEOPLE IN AN APARTMENT. 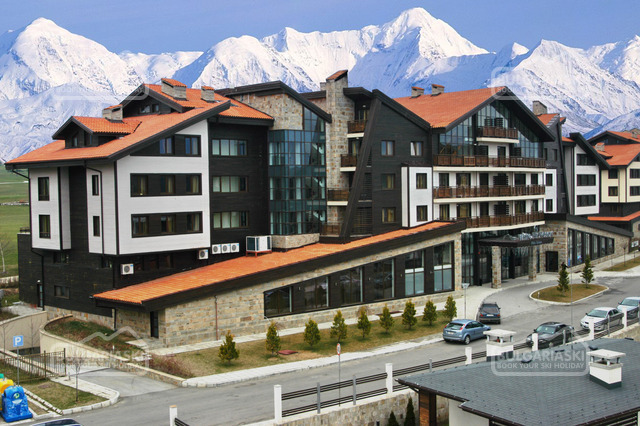 I HAVE ALSO TO SUGGEST THEM TO MAKE A KIND OF OUT SIDE CLOSED CONNECTION BETWEEN THE THREE BUILDINGS , THOUGH FOR US THAT WE WERE IN THE SIDE BUILDING AND NOT TO THE MAIN ONE , IT WAS VERY INCONVINIENT TO RETURN TO OUR ROOM AFTER THE SPA IN THE COLD AND SNOW. I WILL DEFINITELY DO NOT RECOMMENDED IT TO ANYONE UNLESS THEY IMPROVE THEMSELVES .